Thanks for your interest! This interactive experience uses hands-on tools to encounter fresh revelation and interact with the Holy Spirit. Swords, clay, mantles, Biblical fragrances and oils, and the arts will be used in our journey. We will be studying The Tabernacle, a blueprint and strategic road map toward deeper intimacy with Christ. As we begin in the outer court and discover how the priests encountered God's fullness as they progressed into consecrated worship, you'll move into the next level of intimacy with the Lord along with this prophetic community. Sessions will include personal prophetic ministry, activation, opportunities to use your gifts, times of soaking and live worship. This 12-week course has real time teachers with original material and live worship. Worship: we'll spend time together soaking and listening to hear the Holy Spirit individually. Word: We'll go deep into the Word of God and discover how to mature in our prophetic gifts and walk through the Tabernacle as we delve into the mysteries of God and Christ. 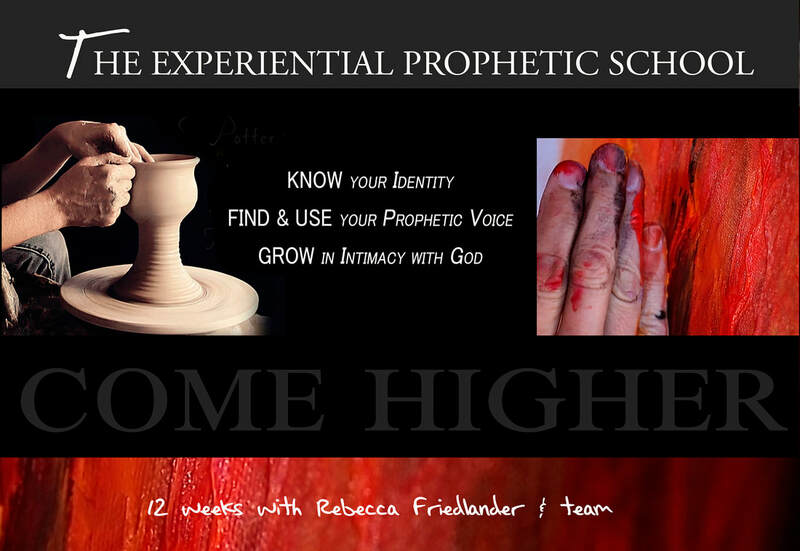 Prophetic tools: Each night there will be a prophetic tool (oils, clay, art, swords) that we learn how to use in prayer. Small Group: In small groups, we'll practice this tool on each other and practice our prophetic gifts in a safe environment. We'll journey through the Tabernacle and discover how to step into the inner court of worship and intimacy with the Lord, and do it within a community of believers who are also hungry to go deeper with Christ. * The 12-week school meets Tuesday nights, May 7th - July 23rd, 2019 with optional Saturday retreat. * Only 12 students will be accepted into the first school to enable interaction within the community. * Application deadline: April 30th. * Price: $400 tuition which includes all resources. Couples: $750 (some shared resources). * Optional ministry trip to Ireland will be offered in August (dates and information coming soon). *Location will be in East County, either El Cajon or La Mesa. We are so excited to hear more of your journey! We will notify you by April 30th if you have been accepted into the school. Payment (non-refundable) in full is required by May 1st. We require two references. Please list the name and phone number of your current pastor or spiritual adviser and one other reference.